Our farm is a production farm and is CLOSED to the public except when our Farm Shop is open or by appointment. FARM GUIDELINES - Visitors are not allowed to walk around the farm without the accompaniment of a farm employee due to safety concerns. We love children and ask that you please keep them with you at all times. A farm is an inherently dangerous place with tractors and other farm machinery in active use. NO PET POLICY - For your own safety, federal food safety laws do not allow animals in areas where food is grown. Pets will not be allowed in the fields or around our barn, so please leave them safely at home. Thank you! Take the LIE (495) east to the last exit (Exit 73). Continue to head east on Route 58. At the traffic circle in Riverhead, stay on Route 58 (go straight). Cross over Route 105, and continue east (go straight) on Route 25 for about 2 miles into Jamesport. Make a right on Washington Avenue. (Just past Jamesport True Value Hardware on your right.) Go over railroad tracks and make a right at the first stop sign onto Peconic Bay Blvd. We are just about a mile down the road on the right. 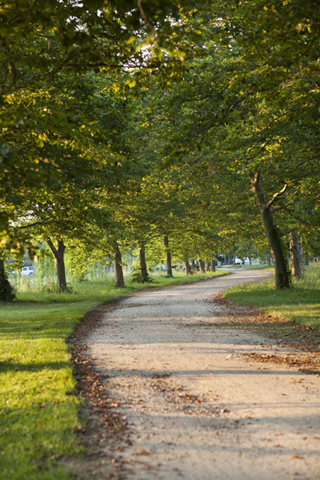 There is a long tree-lined driveway. Take Route 25 (also known as Main Road) approximately 20 miles west of Greenport Village. Make a left on Washington Avenue and follow directions above.